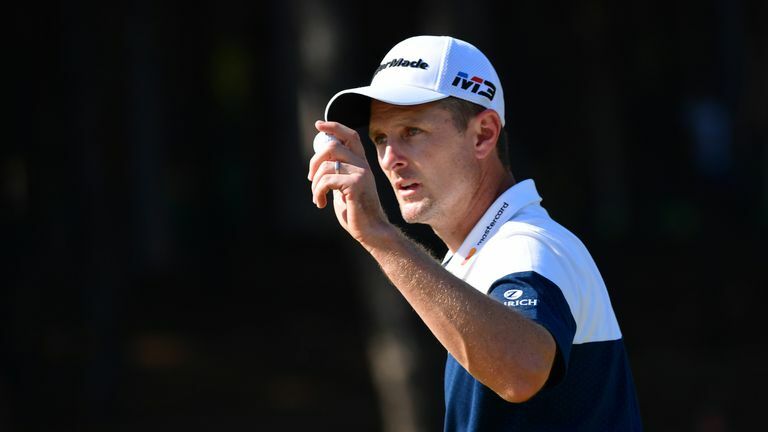 Justin Rose was delighted to return to the top of the world rankings on the back of a victory after he held off Haotong Li to retain his Turkish Airlines Open title. 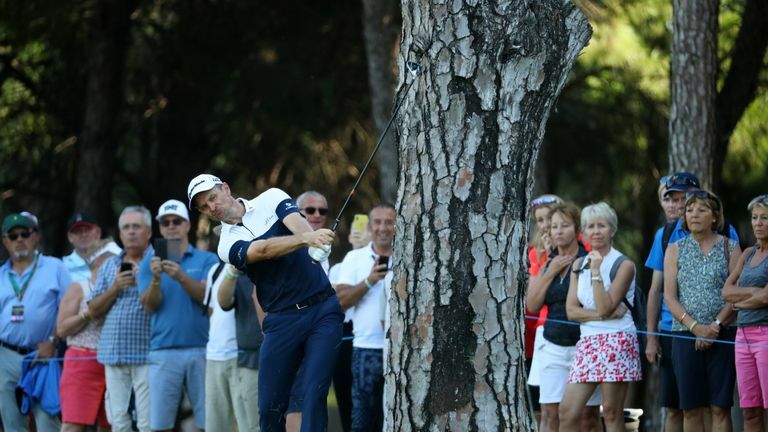 Rose had never successfully defended a tournament until this week, but he was gifted back-to-back victories in Antalya when Haotong three-putted from eight feet at the first play-off hole after both had finished tied at the top on 17 under. The Englishman admitted he had mixed emotions when he dethroned Dustin Johnson as world No 1 despite losing a play-off against Keegan Bradley at the BMW Championship in September, but he was happier to knock Brooks Koepka off the top with his 23rd professional victory. "It's taken me 20 years to defend a title, so that's great," Rose said. "It's interesting because normally when you win a golf tournament, it's at a golf course you like, so I'm surprised it has taken this long to kind of achieve that. "But it's been a great week in Turkey, on and off the golf course. I really enjoy this week, and I think the off-course is as important as the on-course because at this time of year, everyone is dragging and everyone is getting pretty tired, and it's almost been a rejuvenating week in some ways. "It's really nice to be back at world No 1. That's just something to be proud of. It certainly doesn't make you one under par on the first tee the next time you play, but it's something to be proud of for sure. "I'm heading home now, which is exciting. I'm sure we will re-toast getting to No 1, and this time I've got some silverware. Last time it was muted because I was still so mad at not winning the tournament at the BMW, but this time I've got the double-kind-of-winning feeling, so it might be a bit more fun to celebrate it at this time. "I've had some pressure-packed Sundays of late and, dare I say, I've kind of been coming away with consolation prizes in a way. World No 1 after losing in a play-off, finishing fourth but winning the FedEx Cup. That was an interesting one because I knew exactly what I had to do and I was playing a tournament within a tournament. "But I was not having that winning feeling in a tournament but still coming away with accolades. I was keenly aware I wanted to get back in the winner's circle and it was good to get it done today." Rose is now looking to emulate the likes of Phil Mickelson and Padraig Harrington and pick up multiple majors late in his career, with the Masters at the forefront of his thoughts having had five top-10 finishes at Augusta National, including his dramatic play-off defeat to Sergio Garcia last year. Asked about his goals for the future, the 38-year-old said: "I think more majors for sure, that's what I'm interested in. I'm trying to chase down as many as I can. You've seen players like Phil and Padraig have hot spells towards the end of their careers where they have amassed two or three really quickly. "If I was able to do that on the top of what I've already achieved, it would make things really good, so very much focusing on the majors. I think next year is going to be about majors and just overall recovery, maybe not playing too much and playing as fresh as I can for those. "At Augusta, I'm always there or thereabouts on the leaderboard every year. I feel good there and I've got a great playbook. I know how to play the course, I read the greens well there, and if my iron play sharpens up, which it has done a little bit of late, I think it's a great opportunity for me. "The Open Championship is not one that I've historically played that great at but I think I'm ready to break that kind of spell a little bit and have a great opportunity this year, especially making a run from the cut line to finish second at Carnoustie. "Then the PGA Championship, there's no reason why I can't play well in that one. Those are kind of in my wheelhouse, those types of golf courses."